Join us for Movie Night on Wednesday, April 3, 2019, from 6:00-8:00pm at the Malden Public Library. We will be showing a recent movie based on the bestselling novel, The Wife, by Meg Wolitzer. 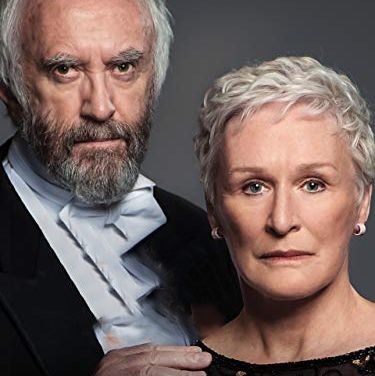 The movie stars Glenn Close, Jonathan Pryce, and Christian Slater. The New York Times writes that the movie is, “…an intelligent drama that unfolds with real juice and suspense.” Entertainment Weekly writes, “Glenn Close is a powerhouse…Pryce is fantastic.” Don’t miss the Glenn Close’s Oscar-nominated performance which Rolling Stone says, “You can’t take your eyes off Glenn Close.” Rotten Tomatoes gives it a 85% approval rating.